Hoo Boy! This has been a long time coming, but man, is it ever exciting! So. . . how do you guys feel about a tough, little station near the Wormhole to the Gamma Quadrant? Yeah, we love it too, and we thought it was time to give her a little love. 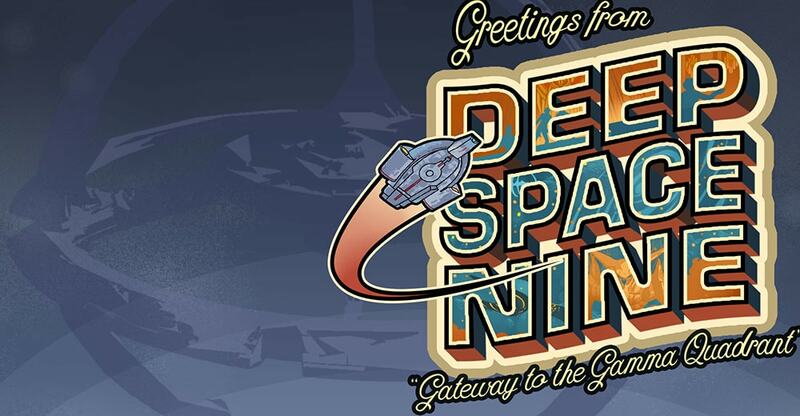 We’ve had a Deep Space Nine map in the game for ages now, but like other things from those days, DS9 has been showing its age. There are a lot of issues with the old map that we don’t need to get into, so let’s talk about what we’ve done on the new map instead. We’ve rebuilt the entirety of the Promenade ring to match the show. That means all of your favorite spots are there, including one you’ve already got a sneak peek at in the recent episode “The Renegade’s Regret”- the Security Office and its Holding Cells. 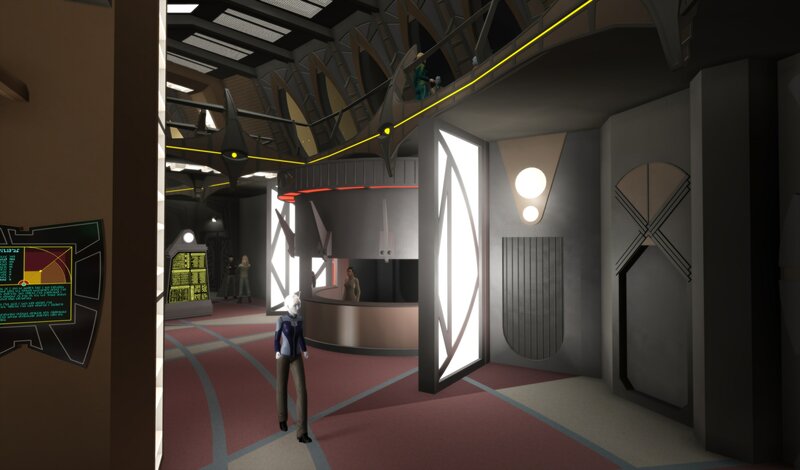 In addition, we’ve updated or added the Infirmary, the Bajoran Temple, the Klingon Deli, the Jumja Stand, the Replimat, and of course, Garak’s Clothiers. Oh, and how could I have forgotten, Quark’s Bar! Quark’s is fun, after all. 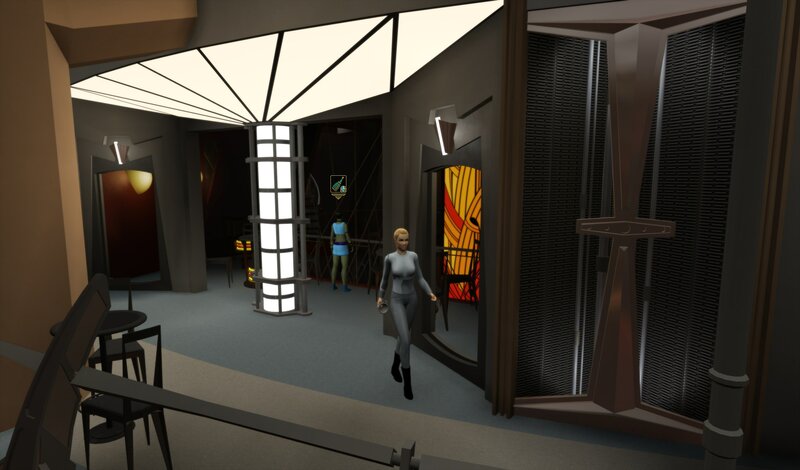 Quark’s, like everything else, has been completely rebuilt from scratch, and it is now open to the Promenade on both the first and second floor. Some of you may remember that we actually started work on the whitebox version of this a couple of years ago, but the Iconian War finale needed more hands, and things were shifted around a bunch to make “Midnight” as amazing as it was. That meant that DS9 got put on hold, but it was never far from our minds. By time planning for Victory is Life started up, and was clearly going to involve DS9, it was clear what needed to be done. While we all know the Promenade is a full circle, in the show, on Stage 17 at the Paramount Studios lot, only about 140* of that potential 360* was made. We started with that, building the canonical section. We dug up the old whitebox version we’d started years ago. 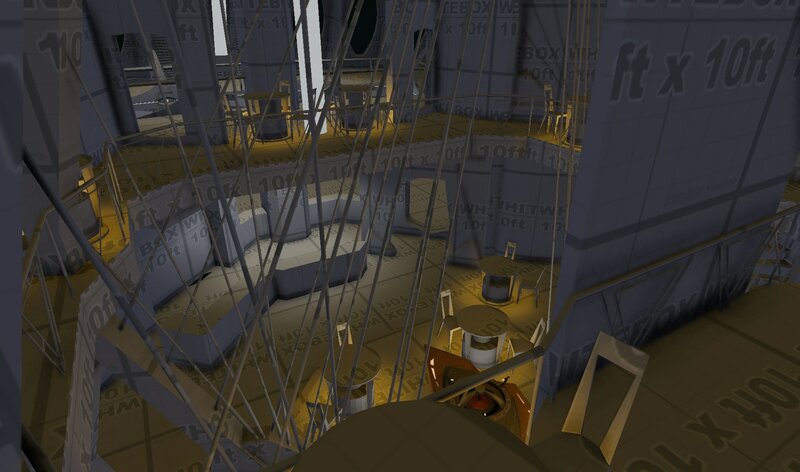 That had already laid out the canon arc using the same technique we’ve used on other recent canon interiors. 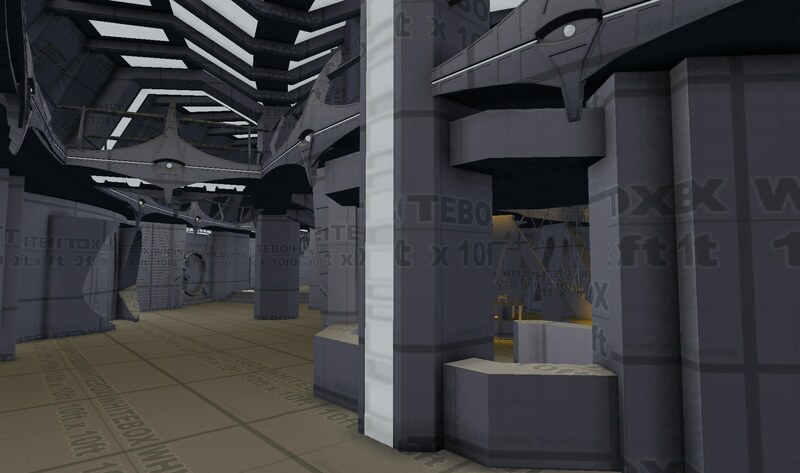 Since there are copies online of the floorplan for the DS9 sets on Stage 17, we knew what the stage layout was like. And lucky for us, Paramount is still around and shooting on Stage 17, so we could go to their website and find the exact dimensions of the interior of the stage. Pair those together, and we were able to create a scale map to build off of. That’s all great, and we had a good handle on that canon section, but now we had to fill out that extra 220* of the circle. Luckily, even for that, we could draw from the show. It’s amazing how the producers of the show would redress things, and shoot from odd angles to make you feel like there was much more to it. In addition, if you’ve watched a fair bit of DS9 you may notice some fairly significant changes to the sets from Season 1 to Season 2. We could take some of those set redressings and changes and use them to help fill out the back end of the Promenade. We had to fill in plenty of other areas ourselves, but keeping some canon bits here and there helps it feel like the station we saw on the show. Once the Promenade hallway was laid out, we had to start making up all of the various rooms. Again, we started with the canon ones. Quark’s was the big one, and it took a lot of time to get it all to jive right. While we had the stage plans, they aren’t perfect, and it doesn’t take much to have a door line up on one side of the room, and have the door off on the other end of the room. Constant adjustments have to be made throughout the process. Often, an object you think you’re done with ends up needing to get changed once you start working on the thing next to it, and realize that you left too little space for that one. That’s why the whiteboxing mode is so key. It’s far better to find out that something has to be changed while it’s in whitebox form, than once it’s got lots of finished modeling and custom textures on it. Did I mention all of the DS9 watching going on through all of this? I have seen the show in its entirety, multiple times, but watching for set details is a totally different game. My memory for episodes isn’t great either, so while I know that something may have been shown, I don’t necessarily remember which episode it was that showed it. Fortunately there is a TON of reference. Unfortunately, some of the references you need (like, for the upper corner of that one room) are only in one shot, in one of the 176 episodes they made. So, I’d watch, and pause, and screenshot, and watch, and pause, and screenshot. Over, and over, and over through many, but certainly not all of DS9, trying to catch that little corner, or that one console panel, or a close up of what that floor looked like. It’s fun, but it’s grueling. In the end, we have a DS9 Reference folder with over 2600 screenshots of the show, each taken by me. 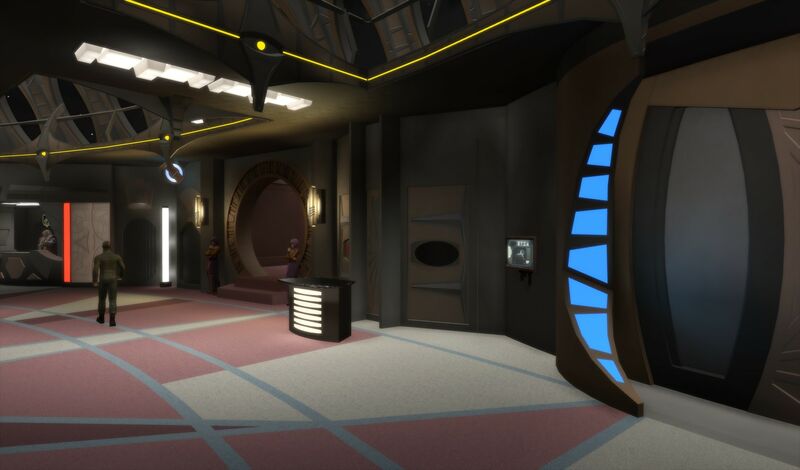 Back to the making of things, Quark’s was a big undertaking, especially with trying to not only get the lower entrance open to the Promenade, but the upper entrance as well. The upper sections of Quark’s were never shown very well. Even the upper Promenade entrance was only really visible a handful of times, so there was a LOT of building things, watching an episode, shifting things, etc. All to the goal of trying to make sure our new DS9 represented what we saw in the show as faithfully as we could. 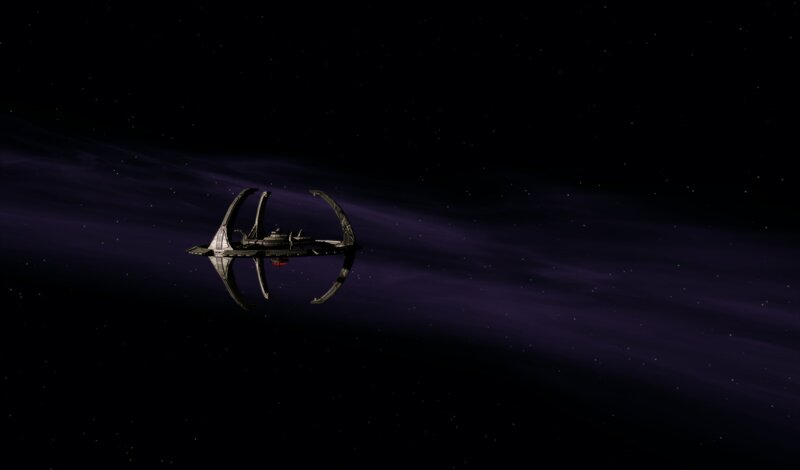 Turns out there is a LOT of unique stuff on DS9. Unlike most of the usual Federation interiors where everything just gets copied from one spot to the next, and is often made up of large wall panels and such, DS9 is a patchwork of little things. Yes, there’s lots of reuse, but there are a lot of unique items/props/signs/whatever. While the makers of the show could go pick up an existing oddball lighting fixture or bench, we have to make all of it, and it started to be too much. That’s why we have a team. Scot, Donny, and David, my co-Environment Artists, all had hands in the DS9 revamp. With their help, we made the Temple, the Infirmary, and the Security Office. In addition to their efforts, we had a major boost in doing one of the more difficult tasks of any interior, the LCARS. . . or whatever it is that the Cardassian equivalent is called. 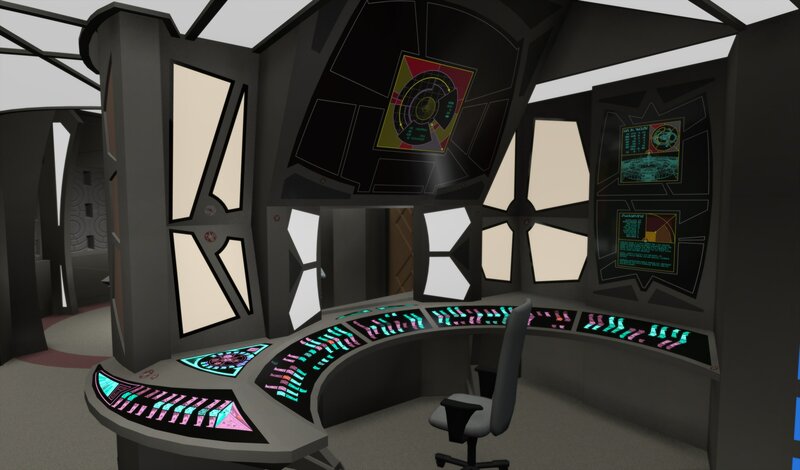 Tim ‘Suricata’ Davies, our PWE EU Marketing Artist, came to our rescue and lent a hand by creating some outstanding replicas of various consoles and panels all over DS9, including some of the animated monitors we know so well from the show. We really could not have pulled this off without his help. At this point, we are just putting the finishing touches on everything. Our content designers started putting NPCs in last week, and it was so cool to see the whole place come to life. I am so excited to see this finally come to fruition, and for you all to get to run around, talk to Bashir and Quark, and change your outfits at Garak’s.